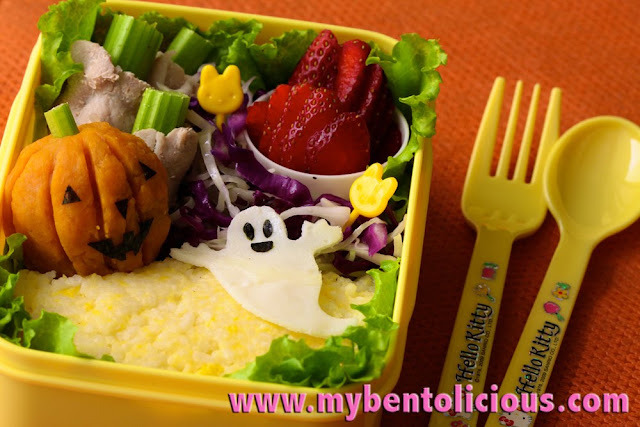 Though we never celebrate Halloween in Jakarta, but I tried to prepare simple Halloween's bento. 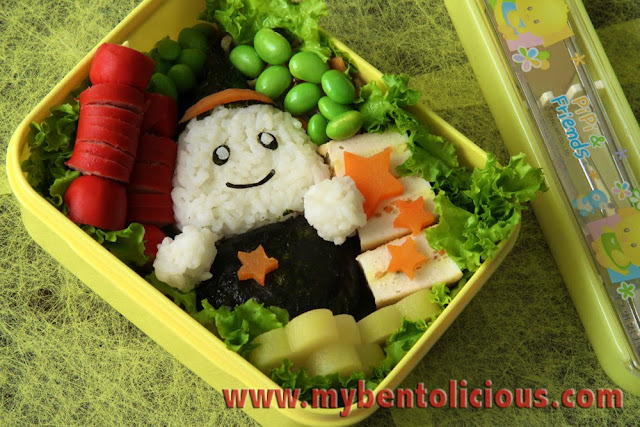 I made the wizard boy bento last Friday which I thought the boy didn't look like a wizard at all :o) For this bento, I put some edamame, flower shapes potatoes, tofu sandwiches, candy shapes sausages and star shapes carrots. The wizard boy was made with rice which I molded by hand and I used nori to make the hat and dress.